this has got to be your BEST POST EVER. 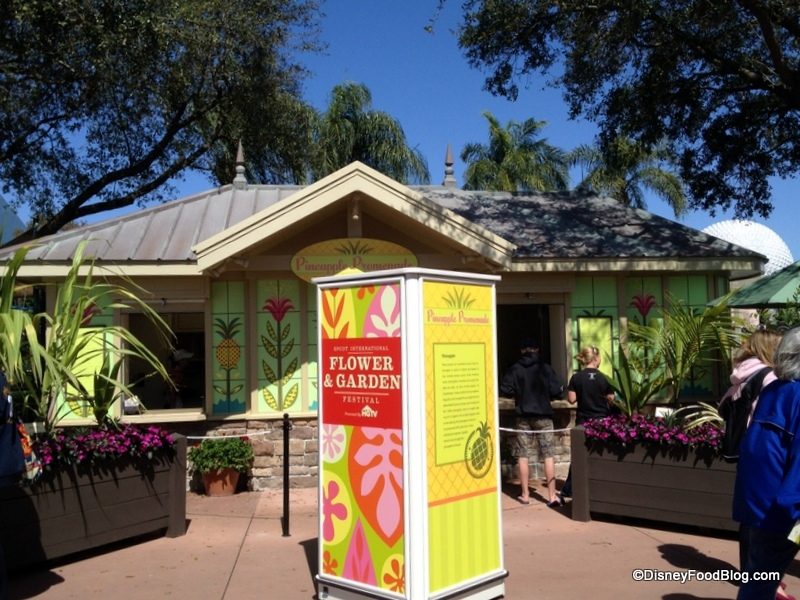 an homage to the dole whip?! ABSOLUTE GENIUS! Ooooh!!! 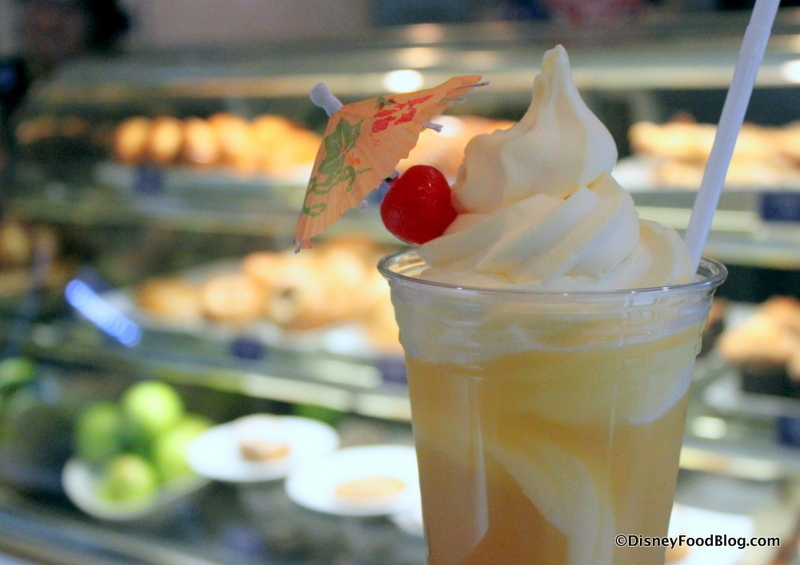 I didn’t know about the do-it-yourself Dole Whip machine at Captain Cook’s – that is awesome!! When i ate my latest Dole Whip on Saturday, a lady was trying to eat here Pineapple Float before it melted (take in mind it was abotu 90 degrees) and she just stares at it and says, “I just have never seen anything like this before.” And just stares at it, as its melting in the sun. Great write-up AJ! 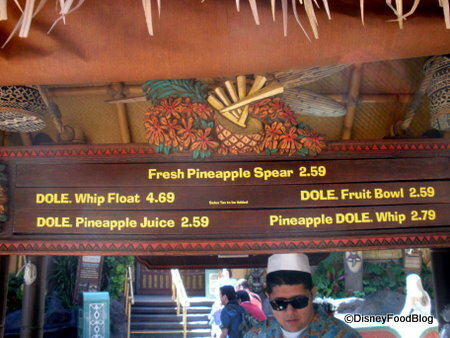 I’m leaning toward the Disneyland Dole Whip being the best because of the umbrella and cherry. But c’mon, serve yourself at Captain Cook’s? That’s really hard to beat! Who isn’t a fan of umbrella’s & cherries. Great post! 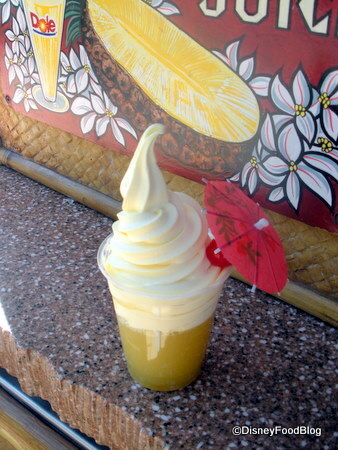 If I don’t brave the heat this weekend for a Dole Whip, I’ll definitely get one next Saturday! It’s been too long since I’ve had one. I’ll have to get one while in Disneyland in September, too; the little umbrella and a cherry is awesome! I have to say Captain Cook’s is the best place to get them. While I’m not sure if it’s technically allowed, I can say for a fact that I’ve gone back for seconds on multiple trips and never been stopped. All you can eat Dole Whip is definitely a winner!! 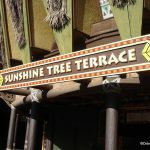 This is one of the things I am looking forward to most for our WDW trip in June. I think my parents still have the cups from our very first Dole Whip in 1999. I am somewhat disappointed, though. I got a Dole Whip last April in Disneyland and didn’t get the cute umbrella or cherry. Oh well…it was still delicious, though! 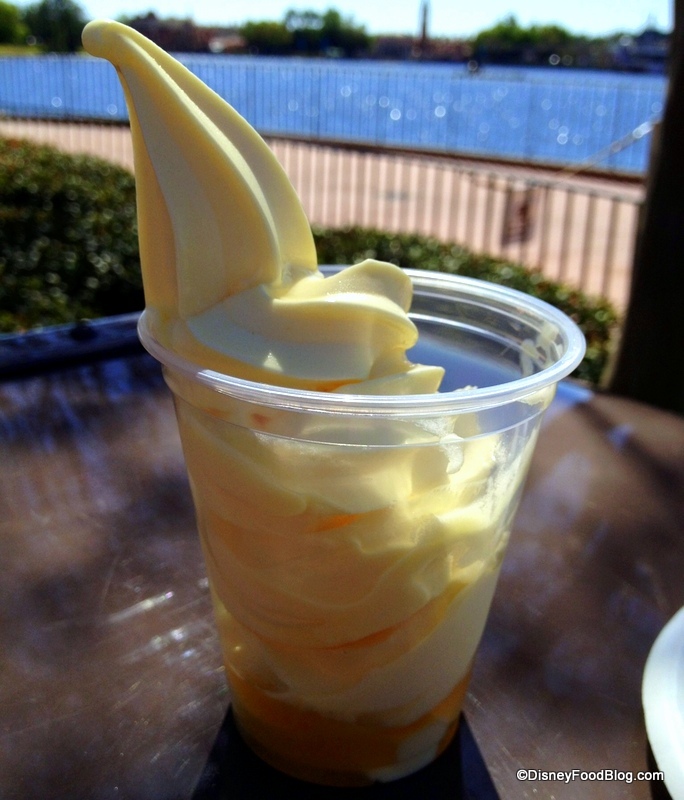 Last May I was so sad when I never was able to get a Dole Whip at Disney World. When we scheduled the quick trip in February for DisneySMMoms I knew I had to rectify that situation. Of course, each day we were at the Magic Kingdom it was raining. No time to stop and get a Dole Whip. Thank goodness we stayed part of the time at the Polynesian. One night after an event I asked hubby to please go and get me a Dole Whip at Capt. Cook’s and he was fabulous and did that. YUM! My whole family agrees that we get a Dole Whip first thing upon arriving at WDW. It’s a great start to our yearly September trip to WDW. It would be great if they offered a banana version too. Robin — Why, thank you! 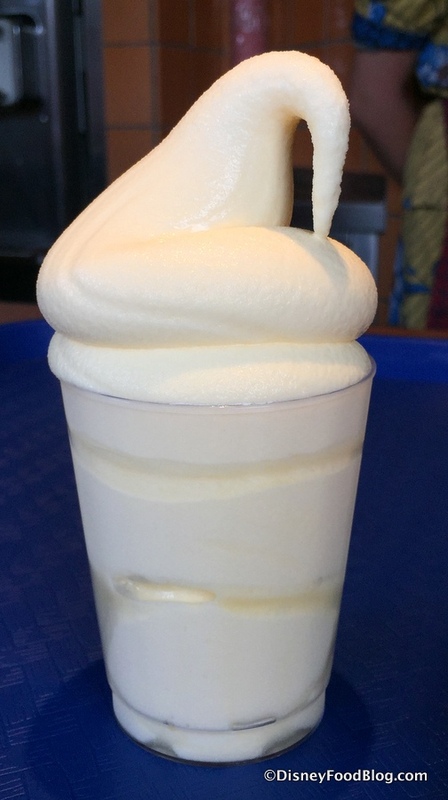 I couldn’t wait to try the Disneyland Dole Whip so that I could write the post. 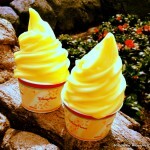 Now, if someone tells me they have Dole Whip in an international Disney park, I’m done for! Cody — That’s hilarious! I hope she liked it! Tim — So true. Serve yourself (and get encouragement to pile on even more!) is pretty great. Angie — Great info!! Thanks!! Brandi — No umbrella or cherry?! What’s up with that?! If I find out that’s not a normal occurrence, the WDW definitely wins for its cool cups. Didn’t know about Capt Cook’s! Good news, since we are going to Epcot only on our next trip to WDW! 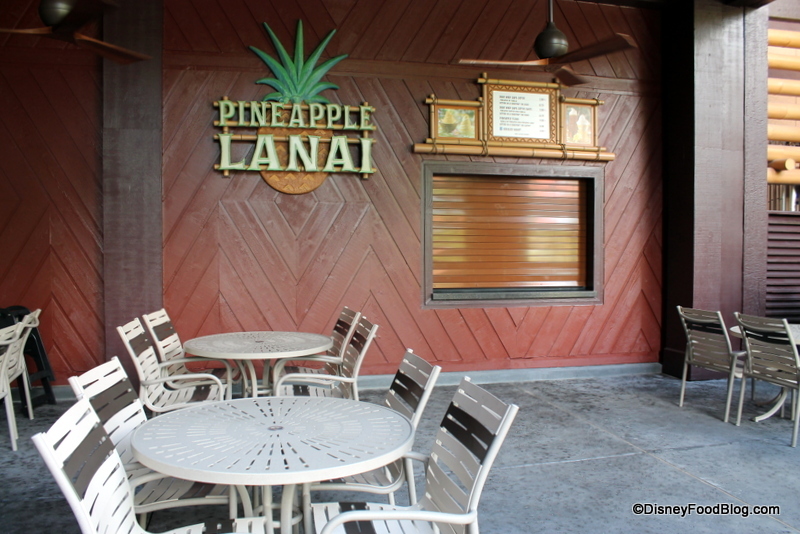 But we’re having breakfast at the Polynesian one morning, so I can get my Dole Whip after that (better save room)! AJ, without a doubt, your best post ever!!! 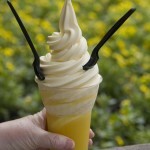 Only 146 more sleeps until I can enjoy a Dole Whip float!!! I love this post. And yes, Disney World definitely needs umbrellas and cherries! I like Dole Whips, I don’t OMG lurve them the way, say, pne of my brothers does. However, I got him the mix for his birthday a couple of years ago and he LOVED it. Might be worth looking into for a gift for the Dole Whip fan in your life. Can you believe I’ve never had one of these? I read about how others think they are heavenly and I’m almost afraid to try one now — either it will be disappointing after all the build up or I’ll get addicted. But I think I’ll have to be brave and get one at Disneyland in September. The umbrella/cherry combo really makes it irresistible! Elita — It’s a non-dairy soft serve sweet treat. The texture is identical to soft-serve frozen yogurt or ice cream. 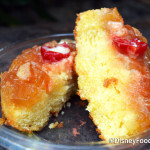 It comes in several different flavors, but the most popular one in WDW is the pineapple version. Thanks! Is it served in a cup of pineapple juice in the float version? ? It looks like a great treat on a hot Florida day. AJ! Now I am totally craving this stuff. If only they had some at AK so I could just drive the 4 minutes over there and get it. Dole Whips while waiting for the Tiki Room in DL are great, but late-night Dole Whip runs when you stay at the Poly are AWESOME! Did try my first self serve at The Poly on my last trip and had to teach my friend that you build walls and fill in between – I wish someone at Aloha Aisle would teach them that too – I hate that air hole in the middle – give me more dole whip!! Kelly — I agree on both counts! 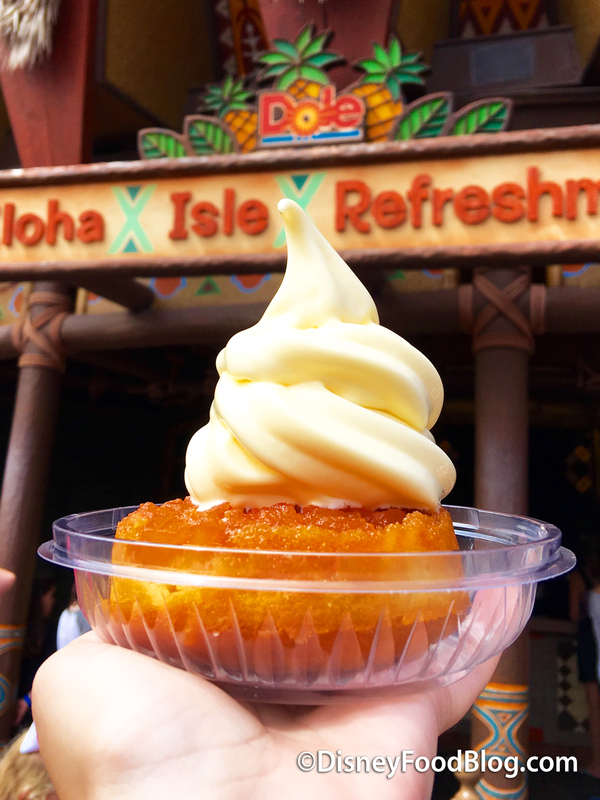 Any Dole Whip, any time! Lara — GREAT point on the air hole! What’s that about?!? I really miss the old-fashioned Citrus Swirl with the real frozen (almost bitter) orange juice and vanilla ice cream. Now all they have is some lousy bright orange “minuet maid orange flavored” junk. My favorite treat is gone. Sorry to hear that, John 🙁 It’s always hard when you lose one of your favorites. I am with you, John. 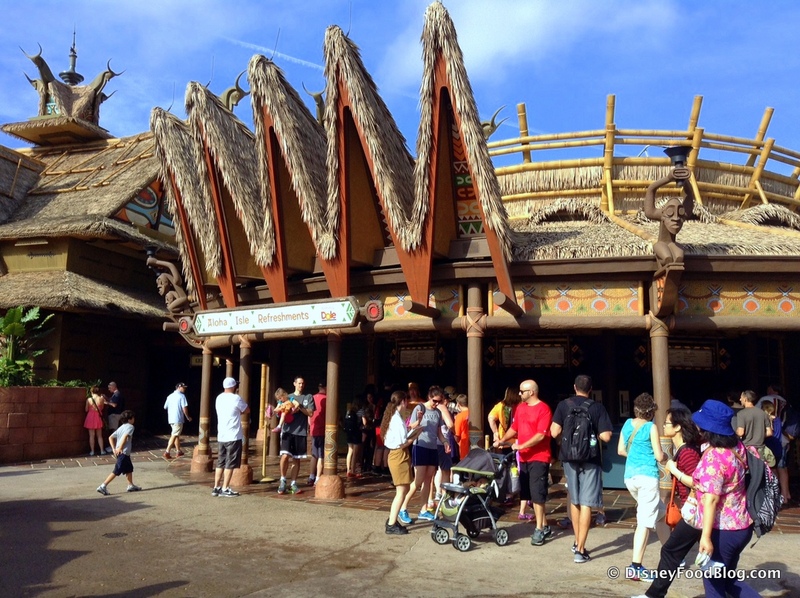 We just returned from WDW, and imagine my surprise when I made my way to the Tiki Bird House to get my fav snack – and they no longer serve the orange juice and ice cream swirl. 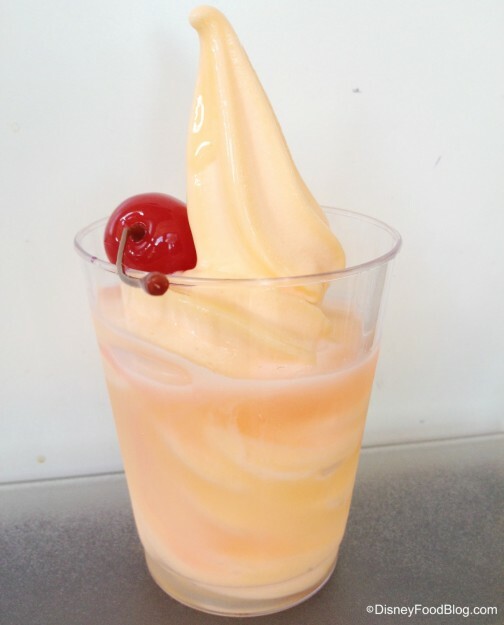 I tried the “push – up” flavored citrus swirl. Not the same. After 35 years I was a little sad but I quickly re-adjusted and the next day had my second fav – the frozen chocolate covered banana. All is well in the Magic Kingdom! 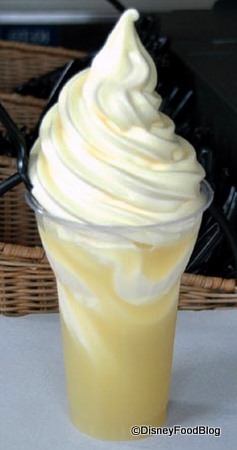 I just had a Dole Whip Float at Disneyland today. It’s been one of my favorite things for a long time but I haven’t had one for about 2 years. Anyway, today I was really disappointed – I swear they’ve changed the recipe. 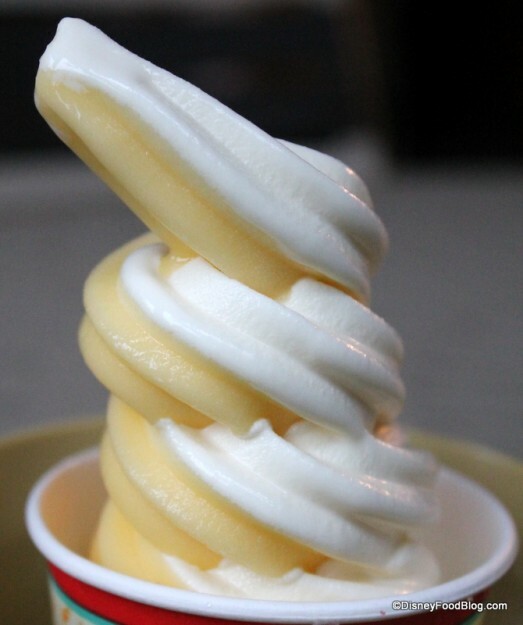 The soft serve used to be a lot more tart and a lot less soft-serve-fakey cream texture. They also used to have chunks of fresh pineapple in the float. The pineapple juice it was served in even seemed watered down. Is my memory just distorted or has someone else noticed a difference? Daniel — I know you can order a glow cube in the restaurants for a fee; I wonder if you can do so for Dole whips as well! At worst, I thought it was canned pineapple juice blended into vanilla ice cream. I never dreamed that it was fake food. Just to add…. once I had a dole whip at the Florida State Fair and I also got one in Hawaii. Glad you found us, too, Stacey! Does anyone know if all of the flavors are non dairy or just the pineapple?? I’m most curious about the orange and vanilla! I’m pretty sure all the flavors are non-dairy, Jessica. Definitely would need to check the website for the company that makes the product. 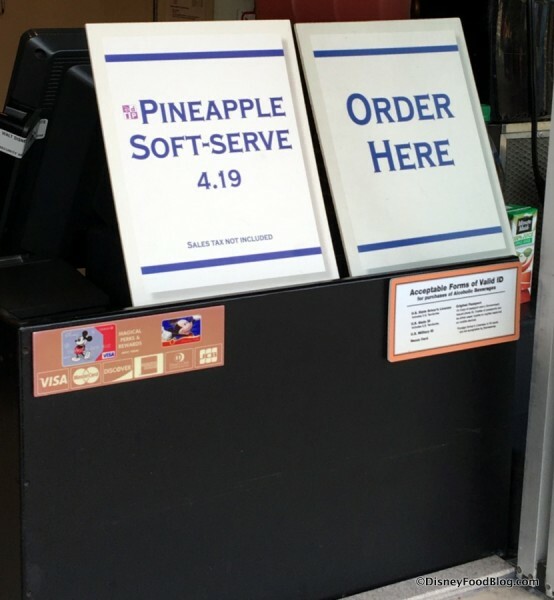 If you can’t get to Disneyland in Southern Cal but live in Southern cal and want a Dole Whip, you can go to Strickland’s in Irvine, CA and get a Dole Whip. It’s is the real thing, same exact whip minus Disneyland admission and Mickey. If you gotta have a Dole Whip and can’t make it to Disneyland in Anaheim, drive another 10 minutes to Strickland and enjoy! Dole whip is available at the pool at Disney’s Vero Beach resort! We had it there last week. So surprised to see it. Does anyone know if Dole Whips are available on the Disney Cruise ships? I’m going on the Disney Dream in August. 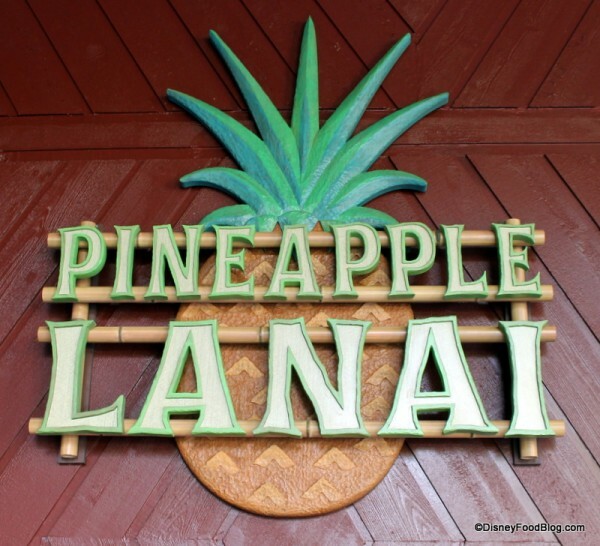 If not, no worries, I’m staying at WDW for a few days before I board…I’m sure I’ll hit up Aloha Aisle lol. Momo — To my knowledge, no dole whip on the cruise ships. Soft serve there is choc, vanilla, and possibly strawberry or banana. Enjoy the cruise though! It’s awesome!! 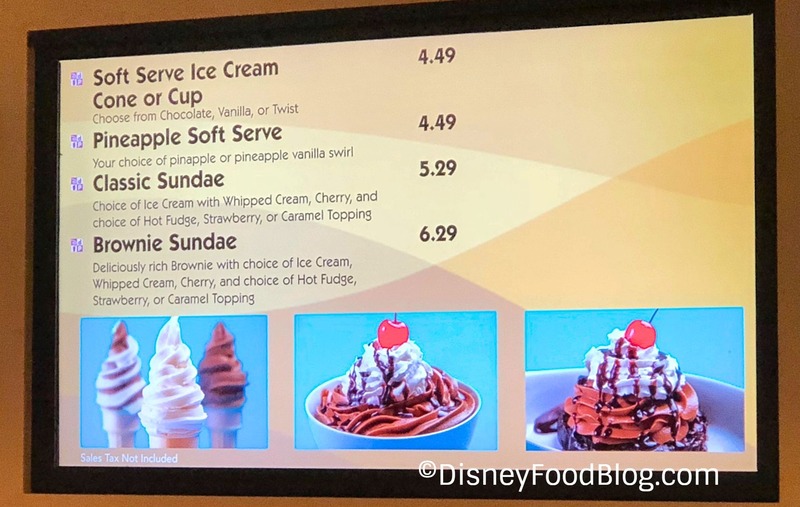 Okay, so embarassed to even say this but I’ve been to WDW a few times but never even heard about Dole Whips until now (I know, must have been living under a rock right?) Can anyone tell me if there is a place to get them in the Hollywood Studios park or is it something just in the Magic Kingdom? Thanks so much for all the hints! I’ve had the Dole Whip at Disneyland, but my all-time favorite was at the Dole Plantation on Oahu with some fresh Dole pineapple chunks served with it! Fabulous! Great post. 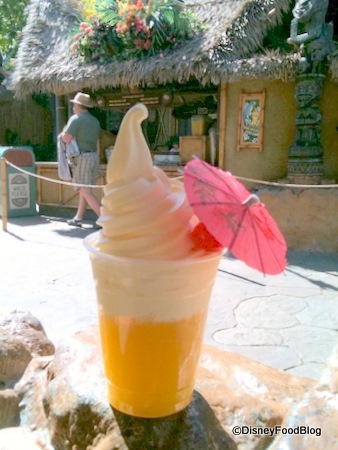 The best Dole Whip to me is hands down the one at Disneyland simply because it can be eaten inside the Tiki Room. My favorite memories from childhood include watching the birdies sing while enjoying a cool, refreshing Dole Whip. I cannot begin to say how disappointing it was to arrive on my first visit to WDW only to be turned away at the Tiki Room with our Dole Whips in hand. The CM was very supportive and said “You must be from the West coast”.